Thanks, Xenia. I’ve tucked it in my December photo file. Wonderful art by nature, beautifully captured! A glorious winter still life! Thanks for your photos and for your amazing outlook and perspective. And thank you, Gayle, for the kind words. 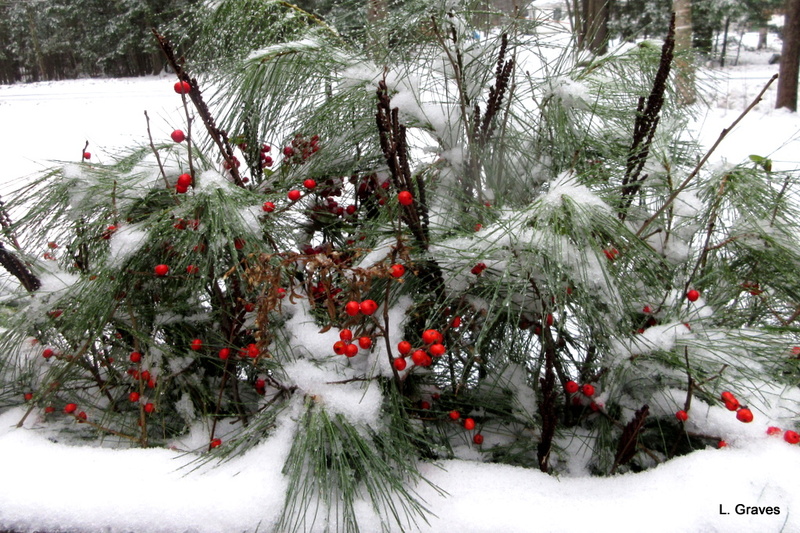 Nothing like red berries against the snow! Kerry, ’tis a pretty sight.